Genevieve Lightfoot-Taylor, MSN, CFNP, CHPN is board certified in hospice and palliative care. 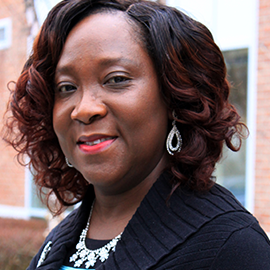 She joined Hospice of the Chesapeake in May 2006 and was an important part of the creation of Chesapeake Palliative Medicine in 2012 to serve those patients who are living with complex illness. She holds a Bachelor of Arts honors degree from Fourah Bay College, University Of Sierra Leone; Bachelor of Science in nursing degree from Excelsior College, Albany, New York; and MSN, FNP from Bowie State University in Bowie, Maryland.